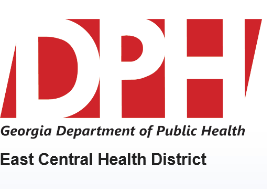 Information will be released for contacting East Central Health District clients in sending updates about appointments, clinic closures, or returned mail via text messaging. When providing authorization to receive text messages, you understand that additional charges may apply that you will be responsible. There is an understanding that there may be inherited risk associated with messages sent to you by SMS text or delivered to your phone which can be viewed and/or accessed by unauthorized individuals and could contain protected health information. A copy of the authorized consent will be maintained in the client’s health record. You may cancel this authorization at any time by contacting the East Central Health District location which I have been provided services. The consent will be updated on an annual basis or anytime the client name changes.